IRONWOOD, MI (November 13, 2018) – On Thursday, November 8, Stormy Kromer was awarded the title of the Coolest Thing Made in Michigan for its Original Stormy Kromer cap at the Second Annual Michigan Manufacturers Association (MMA) awards held in Lansing. The People’s Choice Award was the culmination of a months-long social media campaign which narrowed a wide variety of Michigan-made products down to a competitive Top 10 ten list that was open to public voting. “It means a tremendous amount to us to know that Michigan loves our iconic cap as much as we love to make it,” said Gina Thorsen, president of Stormy Kromer, a division of Jacquart Fabric Products. In a world that often defaults to disposable, the company remains committed to making high-quality gear that is made to last a lifetime. The original Stormy Kromer cap has been in existence for more than 100 winters thanks to a dedicated group of hard-working employees that take great pride in crafting products that are representative of the legacy of Stormy Kromer. To see firsthand that craftmanship isn’t a lost art, visitors of all ages are invited to take the free Factory Tour that is offered Monday through Friday at 1:30 pm (central standard time). 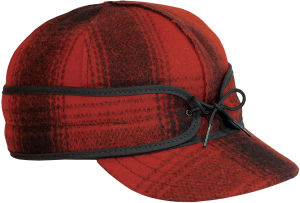 To learn more about Stormy Kromer, please visit www.stormykromer.com, including to sign up for a tour or take the virtual version. 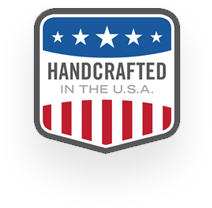 For a full list of the Top 10 Finalists, please visit https://mimfg.org/Articles/ArticleId/370/ announcing-the-top-10-finalists-for-the-coolest-thing-made-in-michigan-peoples-choice-award.